This has been one of my favorite meals lately. It is simple and very good for you. It is also amazingly easy to make from your Augason Farms food storage basics! Pour the oil in your pan and add the onions. Set them at a low simmer. 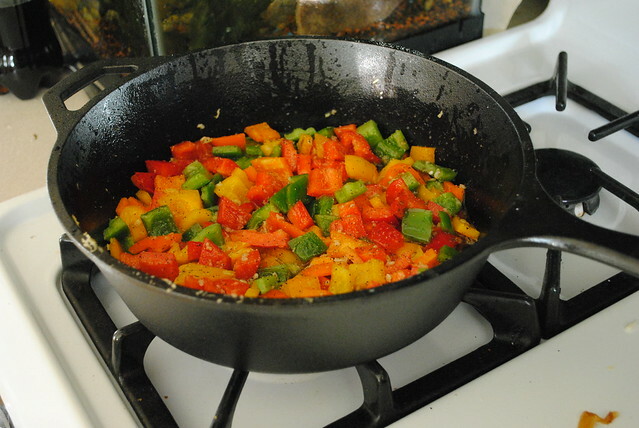 Add in your peppers (add a cup of water if you are using dehydrated peppers). Let the mixture cook on low for about ten minutes, stirring occasionally. This smells amazing! 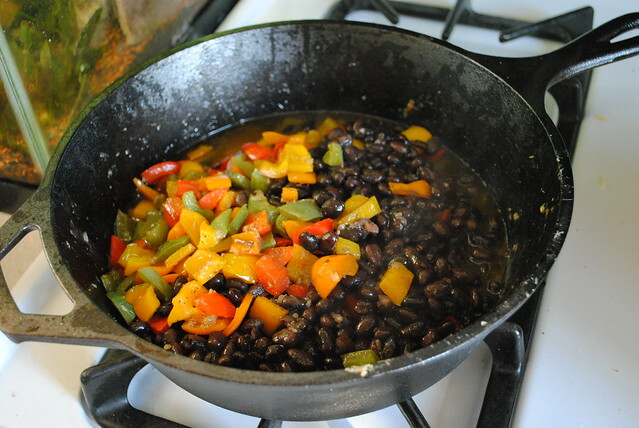 Once your veggies are tender, add in your ready to eat black beans or canned black beans. Bring your rice, broth and bay leaves to a boil, stirring occasionally until the rice is soft and all moisture has been absorbed. Pick out the bay leaves. They add flavor during the cooking process but are not actually eaten. 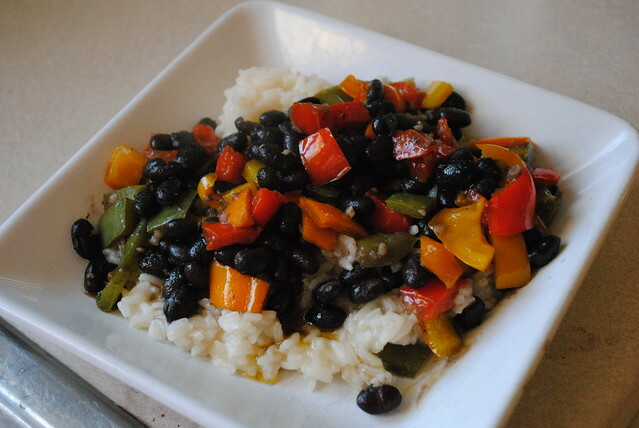 Serve the beans and peppers over the rice and enjoy! It’s fast, easy, vegan and tastes great. This rice and beans is also a fabulous burrito filling, or wonderful used in fajitas! I always make a big batch so we can do the meal one night and fajitas the next. This is a super fast, super easy, super yummy meal. Get out your casserole dish. (If you’re using dehydrated taters, put them and the onions in two cups of water and simmer gently until all water is absorbed). 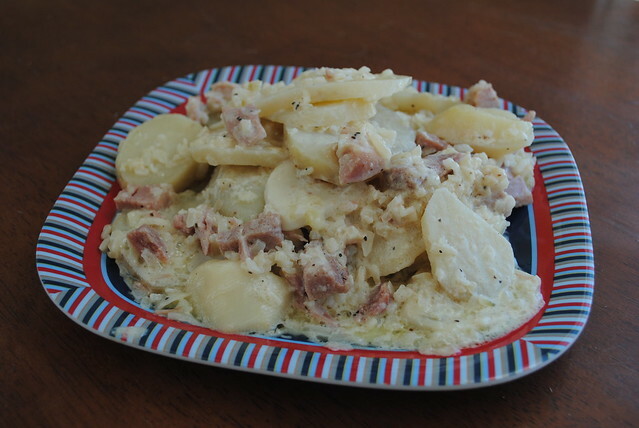 Mix potatoes, ham and onions together, place in casserole pan. Pour all of the cream over the mixture. Never, ever substitute half and half or try to make this recipe healthier. If you do, my grandmother will roll over in her grave, and rightly so. Just have a smaller portion of the really good stuff. Salt and pepper to taste. Place butter pats over the top, cover with tin foil and bake for about an hour at 350, or until the potatoes are tender and easy to break with a fork. Enjoy! Brown your hamburger and onions. 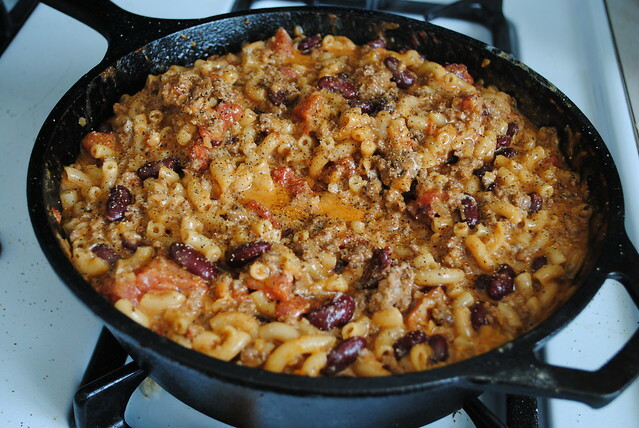 Dump everything into a large skillet. Heat on medium until thoroughly warmed and serve. This one is a real kid pleaser. 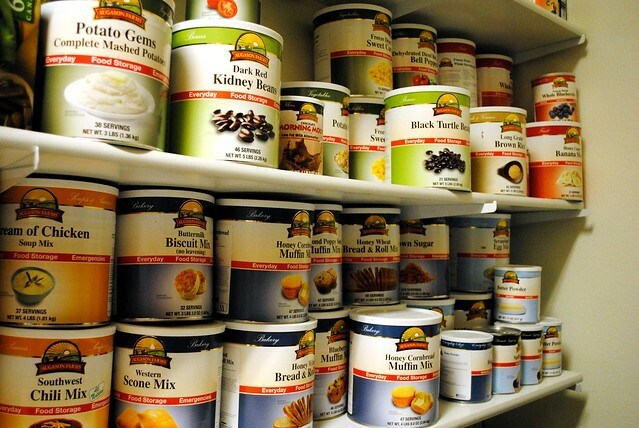 I know food storage can be overwhelming. You have to buy it, store it and figure out how to use it. I hope these recipes help you start using these every day essentials in your menu plans. Once you add in a few great food storage meals, you will find it is much easier to rotate through your pantry. If your pantry isn’t as stocked as mine, and you are overwhelmed by the seeming impossibility of a solid, long term food storage, remember -one can at a time. Don’t think you need to rush out and do it all in one day. If you can budget out a few food storage items each month, you will eventually have a very stocked pantry and be protected in times of personal financial crisis as well as world food scarcity. Economists have said recently that food is probably the very best thing you can invest in right now because prices and demand are skyrocketing. A well stocked pantry brings peace of mind and security to your family. Start now, start small, just START!